Malaysia is one of the countries in Southeast Asia with the fastest growing rate of new Human Immunodeficiency Virus (HIV) infections. At the end of 2012, it was estimated that 81,900 people were living with HIV/ acquired immune deficiency syndrome (AIDS) since the first case was detected in the country 27 years ago. In 2013, 3,393 new HIV infections were reported, with heterosexual transmission now accounting for 70% of new infections in Malaysia. Recognising the gravity of the HIV/AIDS pandemic, Sime Darby Group, through its philanthropic arm Yayasan Sime Darby (YSD), had embarked on initiatives to alleviate the woes of communities battling the disease since 2013 and its efforts has not gone unnoticed. 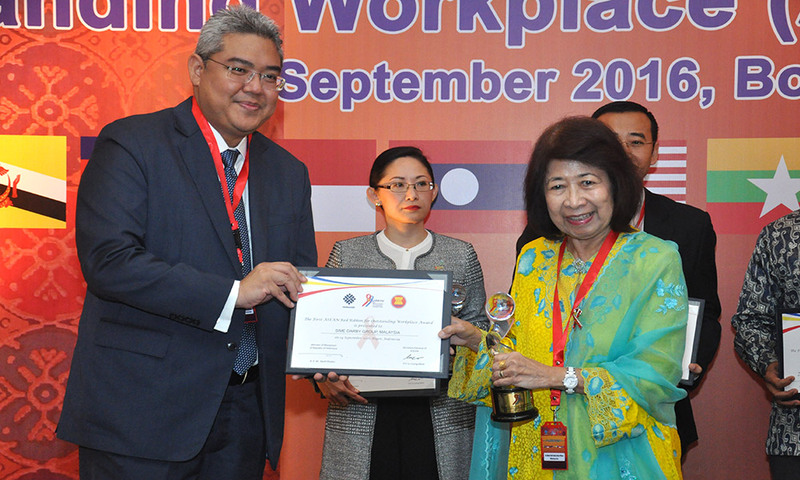 Last year, Sime Darby bagged the Association of Southeast Asian Nations (ASEAN) Red Ribbon for Outstanding Workplace (ARROW) Award, in recognition of its non-discriminatory human resource policy and corporate social responsibility (CSR) efforts to improve the lives of those living with HIV/AIDS. 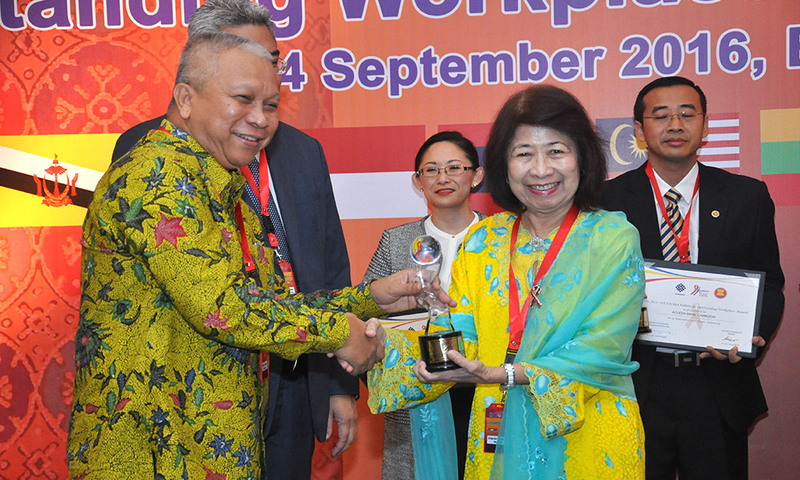 The inaugural award was handed out by the ASEAN Business Coalition on AIDS (BCA), which recognises excellence in the business and corporate sectors for HIV/AIDS initiatives in the region, particularly in the areas of HIV/AIDS workplace policy and CSR. The award ceremony was held on 14 September 2016 in Bogor, Indonesia, in conjunction with the ASEAN BCA meeting. Sime Darby was among six companies that was bestowed with the ARROW award. The other award recipients were Standard Chartered Brunei, Cambodia’s Acleda Bank Plc, Indonesia’s PT Kaltim Prima Coal, Philippines’ Maynilad Water Services Inc and Microchip Technology (Thailand) Co Ltd. The award is also a testament of YSD’s commitment towards providing necessary care without stigma to communities grappling with the HIV disease. The Foundation’s initiatives, in partnership with the Malaysian AIDS Council (MAC) and Malaysian AIDS Foundation (MAF), are centred on the mission to improve the lives of people living with HIV/AIDS. YSD has committed close to RM3 million to the MAC and MAF for initiatives and programmes geared towards communities struggling with HIV/AIDS from 2013 to 2017. Some of the initiatives include MAC’s advocacy and policy work conducted and funding the establishment of Rumah Sahabat in Kelantan, the first ever palliative shelter home to meet the needs of People Living with HIV in the state. This is in view of the fact that Kelantan has consistently recorded the highest number of HIV/AIDS cases among all other states in Malaysia since 2008. YSD also recently supported The Malaysian Business Consortium on HIV (MCBH) and AIDS Forum on 30 August 2016, an initiative conducted by MAF to serve as a platform for businesses to share and exchange information on HIV/AIDS, best practices and key learning experiences. The initiative is guided by the UN Sustainable Development Goal of ending HIV/AIDS as a public health threat by 2030. The MCBH AIDS Forum was held in collaboration with the Department of Occupational Safety and Health Malaysia (DOSH), Ministry of Human Resources and supported by, in addition to YSD, the Ministry of Health Malaysia, The Joint United Nations Programme on HIV/AIDS (UNAIDS), and Hilton Kuala Lumpur. More than 30 businesses and corporations across a wide spectrum of industries participated in the event, signaling the commitment of the corporate sphere to battle the pandemic.